Six more sleeps, six more sleeps!! Can you tell I'm super excited for Christmas this year?. Bring on the quality family time, cosy movie times, annual Christmas Eve buffet and seeing Darcy's face on Christmas morning when she opens up all of her presents. 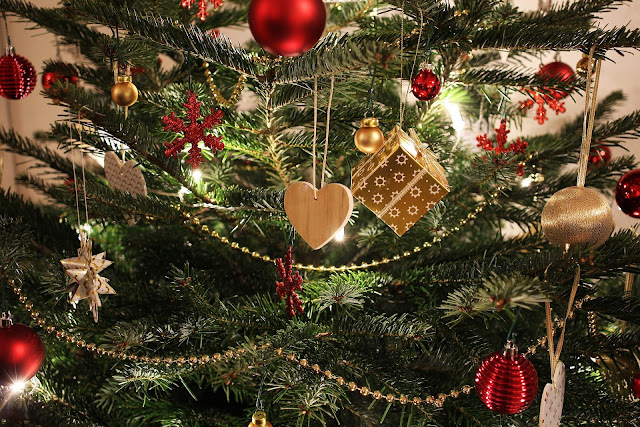 The lovely Emma from Life According to Mrs Shilts and Rachel from Word of Rachel have tagged me in the very festive Christmas tag, so let me share with you all the Christmassy things that I love. Hmm... this is a tough one,but is has to be Elf. You couldn't help fall in love with Buddy, his inocconece and Christmas spirit is just infectious. I have lost count of the amount of times I have watched it. I went to see Elf the Musical at the theatre a few years ago and it wasn't anywhere as good as the film. I had to ask my Mum as I couldn't remember, and apparently I have had a white Christmas. Fingers crossed we have one this year, as Darcy has put it on her Christmas list. Pop songs it has to be Last Christmas by Wham, I've grown up listening to it,and there is Mariah Carey, All I want for Christmas, I am forever trying to hit those high notes. No, we do not open our Christmas presents until after breakfast Christmas morning. However Darcy does have a Christmas Eve box that she opens on Christmas Eve and it keeps her entertained for the whole day. It includes a festive DVD, movie snacks, new PJs, a bath bomb and a plate to put Santa's treats on. Dasher, Dancer, Prancer, Vixen, Comet, Cupid, Donner and Blitzen and of course Rudolph. 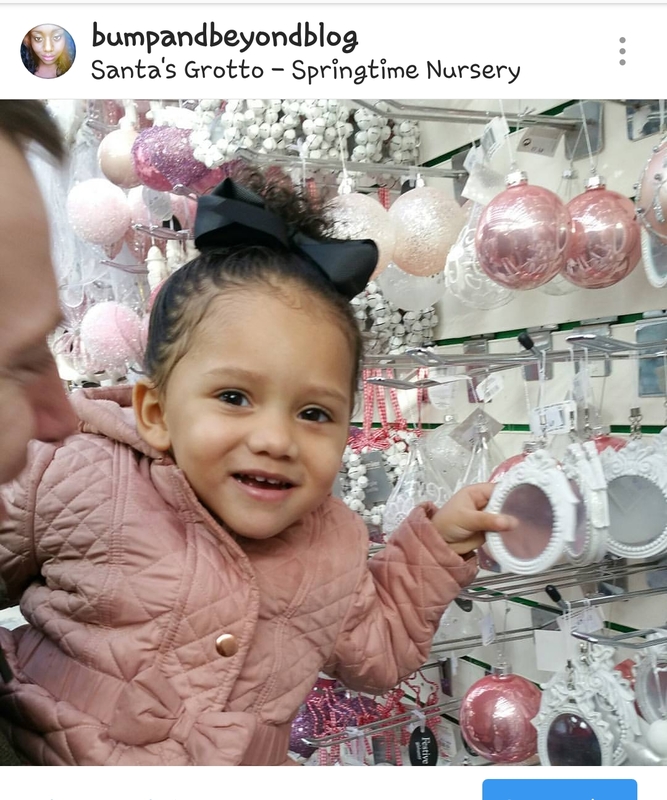 A visit to see Santa in his Grotto, each year Darcy, myself and her dad go to our local gardening centre and she picks a new Christmas decoration. When she moves out I'm planning on giving them all to her so she can decorate her first tree in her first home. Even though her fagther and I are not together, I think it is important that we do things together as a family and create memories. We also do lots of Christmas baking and watch a lot and I mean A LOT of Christmas movies. Pigs in blankets and mince pies,which I'm going to try and make myself this year. It's all about giving for me, I've been buying presents throughout the year. I like giving gifts more because i love seeing someone happy especially because I have given them a gift. To me, that smile on their face is already enough to pay me for what I have given. A laptop from my Mum a few years ago, I had a rather crappy year and my laptop at the time died on me. I wasn't expecting it and let's be honest it's a rather expensive present, so I may had cried a little. I really want to visit Disneyland Paris during the Christmas period. I've seen so many pictures and it just looks so magical. I would say I'm almost a pro, I used to drive my Mum crazy, as I would never fold the edges properly lol. Being pregnant with Darcy, I couldn't enjoy my Christmas dinner due to sickness and everyone kept telling me they thought she would come on Christmas day. So was on tender hooks all the time waiting to see if she would arrive or not. She turned up being 10 days fashionably late and me being induced. Everyone is generally in a good mood, I love spending time with my family and friends and sitting down and appreciating what and who I have around me.